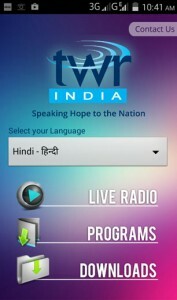 Presented by TWR India, a in-depth Bible Study tool in MP3 audio form, in major Indian languages. With 1293 parts from Genesis to Revelation. Don’t miss to listen. This is a free service by TWR India. You can download them in MP3 and listen in your leisure time.